The Westwood Spanish at 2111 Selby Ave., LA CA 90025 lasted a brief 2 days on the market before receiving an accepted offer on 3/19/10. The home was listed on 3/17/10 for $899,000 and obviously had no price reductions during the very short listing term. The home was nicely updated throughout and was ready for someone to move right in with their toothbrush and suitcase. Priced right, these homes tend to sell quickly in Westwood right now. In fact, priced right move in condition homes are selling quickly all over right now. 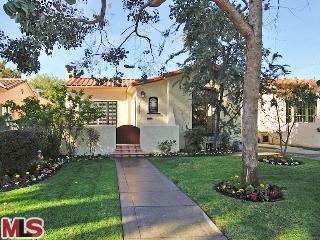 2111 Selby Ave closed 5/6/10 for $76,000 over the asking price, $975,000. According to the MLS, the home is a 3 bedroom / 1.75 bath, 1,431 sq ft of living space on a 5,400 sq ft lot.